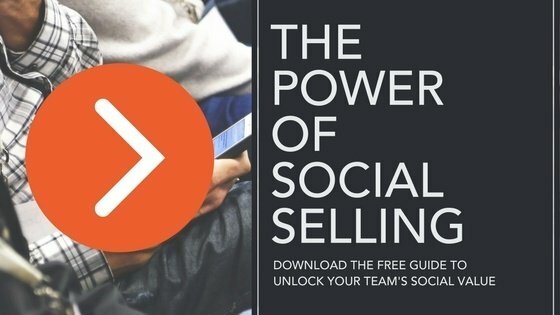 Learn how social media can complement and amplify your existing sales efforts. To achieve sales growth in 2018 you need to be where your customers are spending most of their time and social media is the key. We’ve teamed up with 16best.net to explain how you can maximise your resources to achieve better sales today. 87% of customers say that social media helps them to make a purchase decision – that’s nearly 9 in every 10. Stats like this prove that having a Facebook page for your business or posting a product photo to Instagram is a modern necessity, whatever line of business you’re in. At the end of 2017, Facebook hosted over 65 million business pages and that number continues to grow today. Don’t feel too left out if you’ve not yet fully appreciated the importance of social commerce before. There may be a huge number of businesses already active online, but there is still huge real estate there for your brand if you’re just getting started. Unless you’re already engrained in marketing and social media, it can also be confusing as there is a lot of information to consider. It is not just about getting your product out there anymore or about bombarding your clients with ads either. You need to think through your strategy just like you would with any other department in your business. Check out our article on why you SHOULD be encouraging your employees to use social media at work. Many top brands have successfully harnessed the power of social media, not by creating a standalone plan or strategy for it. In fact, social media can be thought of more as the glue that holds your sales, marketing and branding strategies together. Acing social selling or more targeted social commerce is about creating an integrative experience for your clients and customers. Bottom line, you need to make it easier for them to engage with your brand before they make a purchase decision. The average buyer engages with a brand’s online content seven times before they eventually make a decision. This means that your online content, your website and your pre-sales service must all be considered. It’s about more than just getting them to buy your product – it’s about building brand loyalty, which is why it affects more than just your sales team. Think that email campaign with the vouchers is the most effective way of getting clients in? It’s a great start but think about it again. You could actually be missing out on a big marketing opportunity if you’re not complementing it with social media engagement – remember that first stat about 9 in every 10 buyers being swayed by social media. Simply put, back up your ‘pillar’ content offer (which may be an email voucher offer or a white paper guide) with a peppering of social media posts. Let’s look at eBay for example. Other than it being an awesome product, what else fuelled its meteoric rise? After all, it wasn’t a brand-new product, Craiglist was already around. But eBay began its social media integration in 2010, way before it became hugely popular to do so and when there weren’t nearly as many options as there are now. Nowadays there are at least five major social channels your brand could be engaging on, not to mention Facebook and Instagram Ads, Twitter Ads, YouTube Ads… the list goes on. There are also a growing number of newer channels on the fringe that your brand could capitalise on as well. Thing 1: Map out your customer journey from a sales and marketing perspective, and highlight major touch-points in that journey. This might be the first time someone visits your website or enters your store for example. Thing 2: Look for gaps in that journey where social media can make an impact. Is there a common drop off point in between someone considering a purchase before deciding not to? Perhaps an email or a well-placed social post could help them progress to the next stage. Thing 3: Bring your marketing and your sales teams together regularly, there are almost certainly skills and insights that they can share with each other. If your sales team are on the front line then they’ll likely have a better insight on the customer’s needs and behaviours. This could influence what content your creative content you produce to help push customers through that sales journey. Thing 4: Enrol advocates! The days of relying on sales to sell and marketing to market are ending. Thanks to social media, every single one of your employees can help to amplify your brand and deliver an awesome online experience. In fact, conversions from online referrals are 4x higher than other types! The game hasn’t changed. As long as you are using the insight you have on your consumers and what they want, you can prove that you are responsive to their needs. The major difference today is in how the game is played. Don’t fall behind on doing things the way you’ve always done them and make embedding social media a priority today. Thanks again to 16best.net for helping contribute to this post. You can learn more about the evolution of social media with an awesome infographic right here. To find out how to best harness the social power of your employees, hit the link below! © Copyright 2018 DSMN8. All rights reserved.